When I was in middle school ninja stars were the craze. That's me down there with the one ninja star that my mom would let me keep. 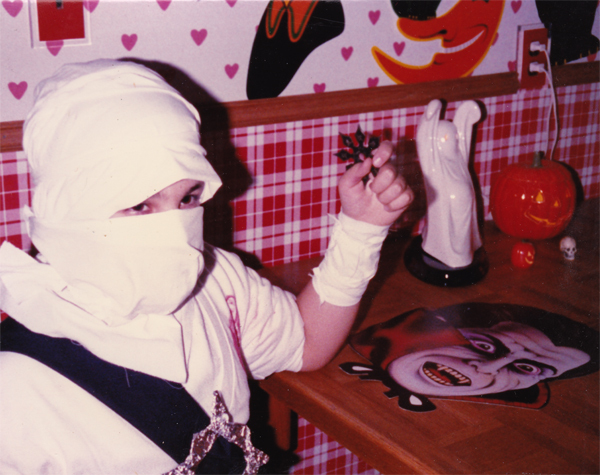 I am dressed as Storm Shadow, the bad ninja from G.I. Joe. There was a martial arts supply store on Junction Blvd. near my school - The Louis Armstrong Middle School in Corona, Queens. This is a picture of the front of the school before they changed it. Kids would sneak over to the Martial Arts spot during lunch - the stars were like 3 bucks apiece. 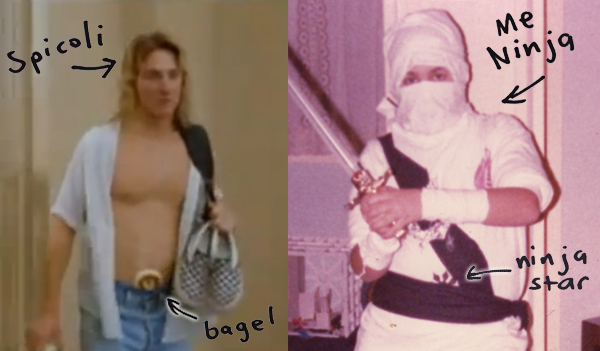 Then we'd mostly get in trouble for throwing the ninja stars up at the drop ceilings, and for rocking the ninja stars in our belts the way Spicoli rocked his bagels. 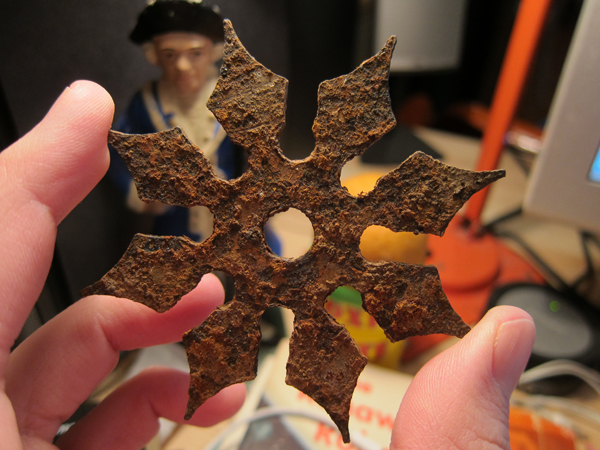 Here is the exact same ninja star after I rescued it from my old storage space out in Whitestone Queens. It was sitting in a puddle of strange mud/filth for the last 15 years. It wasn't the best storage space, in a lot of ways, but it never failed me. The storage space actually belonged to Jeff's Mom. It was a part of her co-op, and was supposed to be a shared space with other tenants, but Jeff and I always seemed to have run of the place. 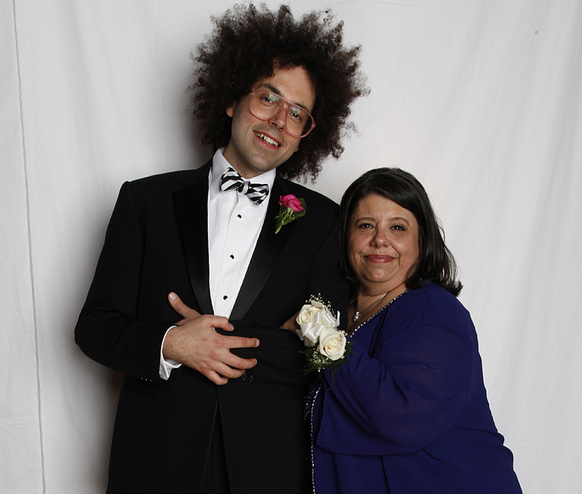 This is a picture of Jeff's Mom, Gerry Roberts. 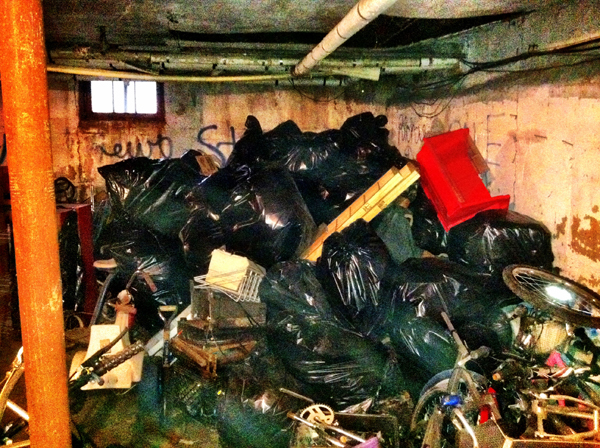 This is the storage space after Jeff and I finally sorted the good junk from the garbage. This is a picture of a drawing of Spicoli with the bagel in his belt by Mat Cerletty. Mat also painted the portrait of Stuff, the imaginary friend, in my movie Stuff. 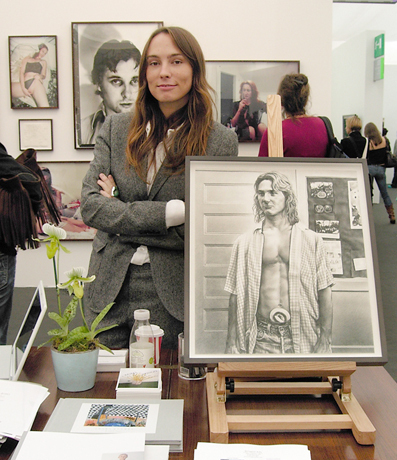 The pretty lady next to the drawing is Mirabelle Marden.